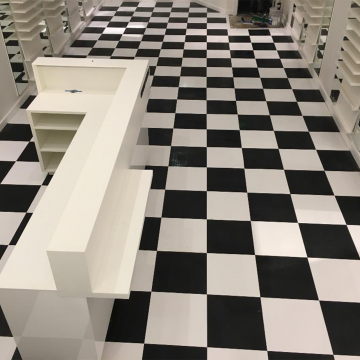 While not every business needs high-traffic flooring, when you do there is simply no other option. Durability: Any material you choose for your commercial space is going to need to hold up to all of the activity you throw at it. Low-maintenance: Any flooring you put down is going to need to be looked after. Don’t pick an option that is going to require constant maintenance. Beauty: By definition, the space you put your high-traffic commercial flooring is going to have a lot of people seeing it. Make sure it looks great and is complements the rest of your space. All have their unique advantages for different types of business environments and industries. Read below for why and when each should be used. Already Know The Flooring You Need? See What Brandsen Floors Can Do For You! 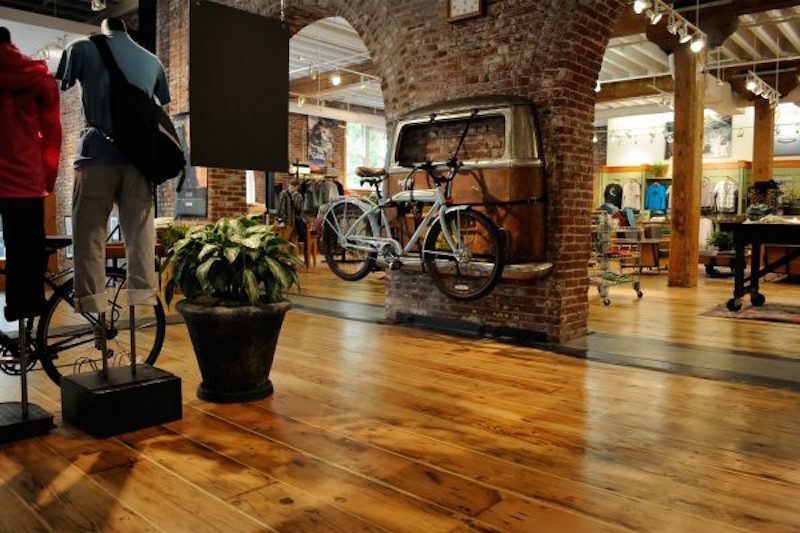 Concrete flooring is a favorite for businesses in need of a tough as nails flooring solution. 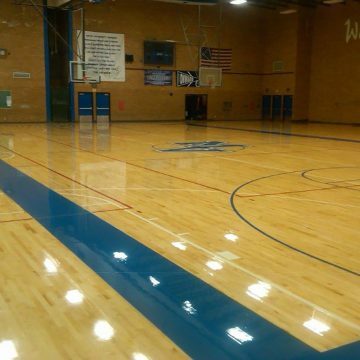 High-quality concrete floors generally have high-performance finishes and coatings to ensure easy maintenance and durability. They resist staining, create a non-slip surface, and repel spills. Concrete floors are easy to clean and maintain if installed by an experienced commercial flooring contractor. 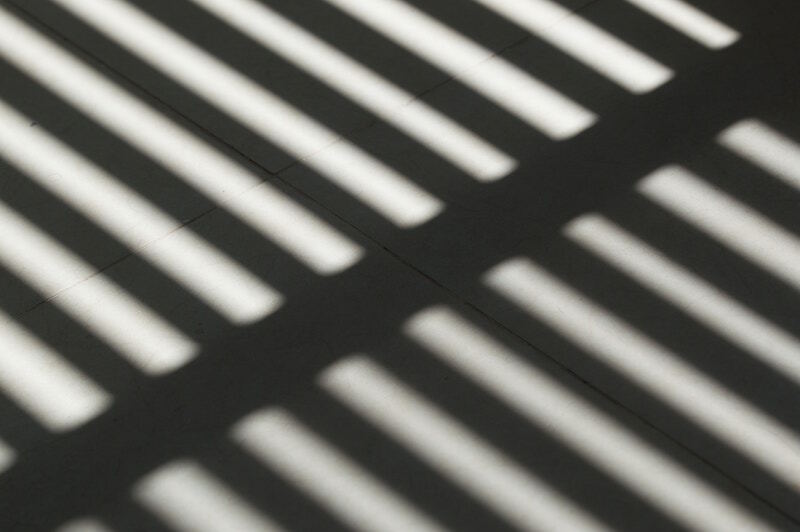 They also provide an aesthetic advantage, as concrete flooring acts as a blank canvas for your businesses designs, or even graphics to complement the rest of your space. Plus, highly polished concrete reflects light extremely well, making your business space more inviting and lively. There is a reason why hardwood floors have been around for centuries. Their inherent durability, resiliency, and aesthetic brilliance make them a natural choice for a business. Hardwood flooring does require more frequent maintenance, including regular sweeping and polishing. Still, hardwoods are one of the most resilient materials in the world and can take a lot of abuse. Technological advancements over the years have made wood an even more durable and maintenance free option. It’s an excellent choice for high-traffic areas. Aesthetically, hardwood flooring can’t be beat. With so many different options, it’s a good idea to take a look at a couple different grains to see which would best work for your space. 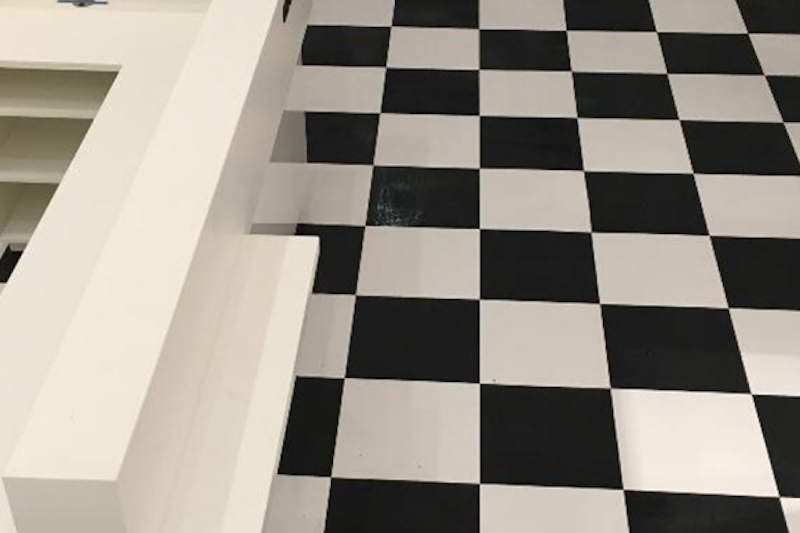 Vinyl flooring used to be looked at as a less desirable option for commercial applications. Recent advancements in vinyl material construction however, this is no longer the case. Vinyl flooring can now be made to look like hardwood, tile, or even stone, but with excellent durability and resiliency. It also is often a lower cost option compared to other materials, making it a great choice for budget conscious business-owners. 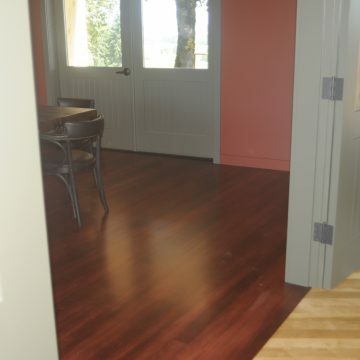 Vinyl flooring will require additional maintenance and special care. Small particles can scratch and damage vinyl flooring, frequent vacuuming or sweeping will be required. Keep in mind that you get what you pay for with vinyl flooring. While there are a lot of great vinyl options out there, there are also less expensive options that will not hold up to the demands of a high-traffic area. 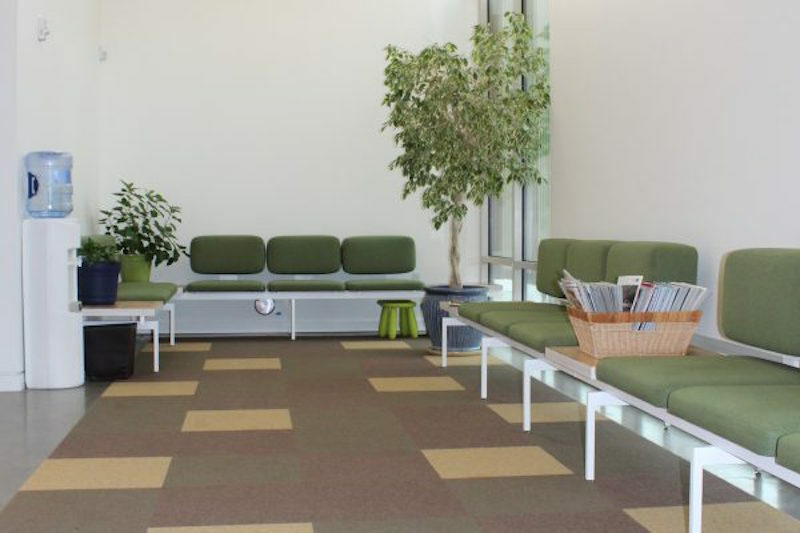 While not suited for all situations, carpeting can be a great option for many high-traffic commercial spaces. Carpet is ideal for businesses that place a high-priority on keeping noise down. It’s also an extremely durable material when installed correctly, and can be a warming presence in the proper situation. While carpet can be durable, it does require the most maintenance of all the options discussed today, and will have to be vacuumed regularly to keep clean. You’ll also have to deep clean your carpet either through hiring a carpet cleaning service or buying your own carpet cleaner yourself. You’ll also have to spot clean stains on an as-needed basis. 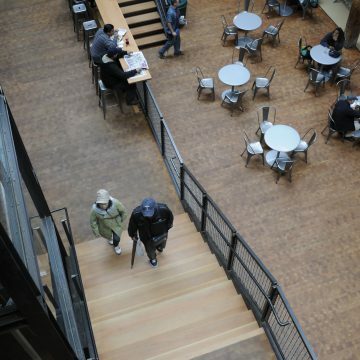 Cork: While cork can look great and offer an insulated and sound insulated option, it is not the best option for high-traffic spaces given its lack of durability. Residential Carpet: While commercial carpet works great in the right situation, softer residential carpet will not hold up to the rigors of a heavily used space. 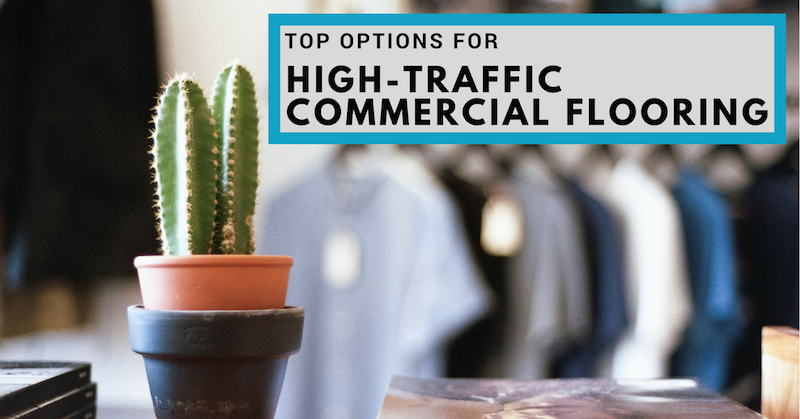 Ready to Invest in High-Traffic Flooring for Your Commercial Space? 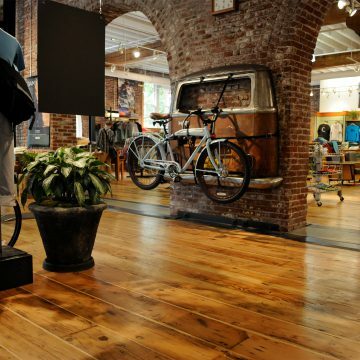 The high-traffic flooring experts at Brandsen Floors can help you with your commercial flooring projects. We are here to turn your dream into a reality. We want to make sure your space can withstand the beating that high-traffic areas take while still looking beautiful. 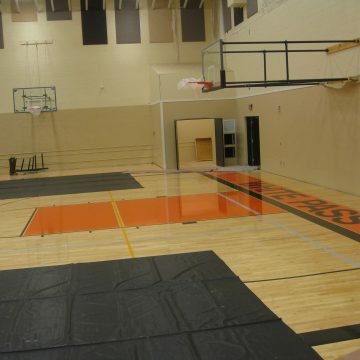 Give us a call at (503) 775-0034 to learn more about your high-traffic flooring options for your commercial space.